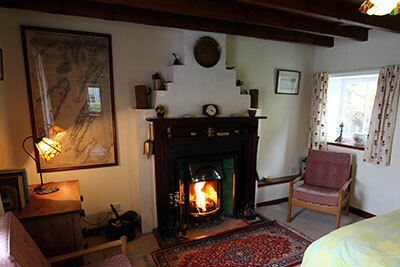 The Wee Barn holiday house provides self catered accommodation for holiday makers visiting Scotland. It has been in the current owners family since 1850 (6 generations), once a working barn for the village Blacksmith and great great grandfather of the owner, Willie Fergusson. The barn was converted into a cottage approximately 75 years ago, yet it still boasts the original features including an original beamed ceiling and a traditional Victorian fireplace in the bedroom. This self catered holiday home has been carefully upgraded to the highest of standards, maintaining the traditional charm whilst also ensuring a comfortable stay for holidaymakers visiting Scotland. 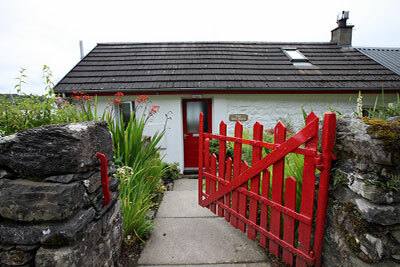 The cottage boasts a modern, fully equipped kitchen and shower room with under floor heating. Traditional, yet cosy, this one bedroom barn conversion is the perfect size for a couple on vacation. The Wee Barn benefits from a unique and highly desired location; it is one of only eight properties in the entire village where the garden runs all the way to the water's edge. 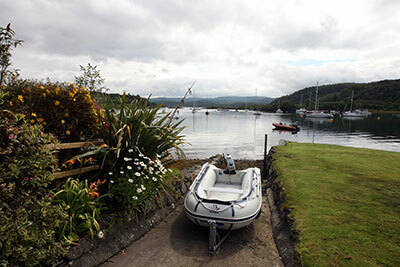 There is a small private slipway where small boats or kayaks can be taken up to the garden from the shore and a mooring can be made available for small boats. 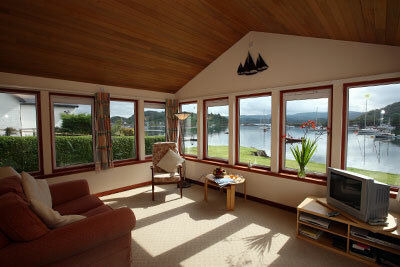 Guests can enjoy undisturbed views of the stunning Tayvallich bay from the living room's large gallery windows and sunny garden patio. Using binoculars you may well spot seals sunbathing in the distance. The Wee Barn is the perfect Scottish holiday rental for visitors wishing to explore the West coast of Scotland or simply enjoy the epic location of Tayvallich. - Conservatory Lounge with TV, CD & radio. - Dining kitchen with washing machine and microwave oven. - Shower room with toilet & basin. 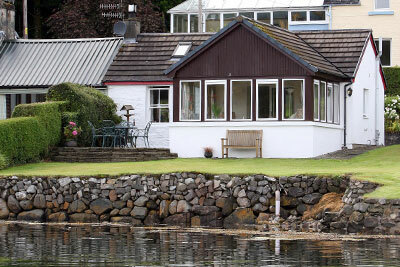 - Large waterfront garden with private launch slip and outside dining furniture. - Spacious off road parking for two vehicles, with access to the private slipway. - Original York stone patio with garden furniture. - Mooring available for a small boat. - Storage/panel heaters throughout; fuel and power are included. - Duvet & pillows are provided, but please bring your own bed linen and towels. 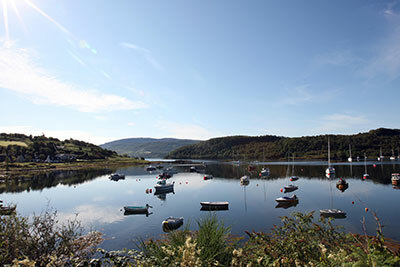 Tavallich village is situated approximately 12 miles (20 Km) from Lochgilphead, along the B8025. 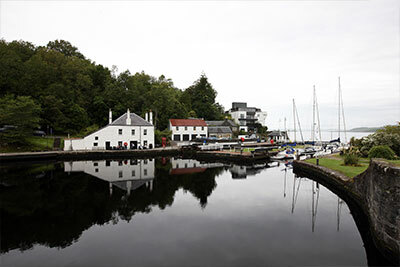 Lochgilphead is in turn, approximately 100 miles (160 Km) from Glasgow. 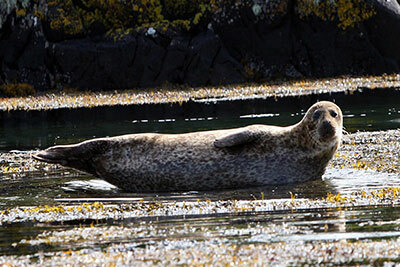 Seals are common in the area. Tayvallich Bay on a summers day. Thank you for letting us stay at your great wee cottage. We had a lovely break, the weather was very kind we walked both days, down to Taynish House and also the beaver loch (no sightings), both lovely walks and still some good Autumn colours. We would like to come again sometime. Thanks for another lovely week. Saw an otter off the end of Taynish nature reserve on our last morning and had some stunning sunrises and sunsets. Back to work for a rest now! This delightful cottage and its beautiful environment will draw us back again I'm sure. This cottage is fantastic, cant stop looking at the view. We are going home feeling very relaxed and rested. Contact us by phone, mail or email For all enquiries and booking information. All Content Copyright © 2015 Wee Barn Tayvallich. All Rights Reserved. Web Development by Freeze Media.